Our Grandchildren love it here and so do we! "Julie was an absolute professional when we were looking for our lake house. She truly knows this area and her enthusiasm and professionalism were top notch. Thank you for all of your time and energy." "Julie was very knowledgeable of the market and the process of selling a house. She provided suggested resources every step in the process to assist on selling the house for the asking price." Grandview Estates Newest home owner! "Annette has done anything and everything to help us find our lake lot that we are now building our dream home on! I would send anyone to her or the Teel Team at RE/MAX Lakeside Dreams." Bought a home in 2016 in Roane, Navarro, TX 75109.
very knowledgeable about the area and we would recommend them to anyone looking to find a permanent home or a weekend home too. He gave us a lot of information and contacts since we were new to the area." "Thank you for selling our home. We would not have been able to accomplish this goal without you. Sold a home in 2016 in Grandview Estates, Mesa, AZ. "From the first time I met with Julie and John Teel and discussed the selling of our house on Richland-Chambers Lake to the closing of the property, I was very impressed with their professionalism, communication skills, friendliness and attention to detail. Their knowledge of the current market was reflected in establishing a fair selling price. 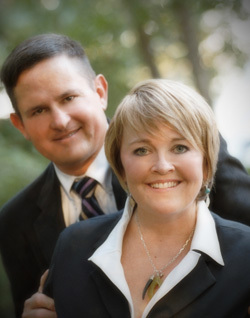 If you want to work with a first class team in either buying or selling your home, choose Julie and John Teel. I highly recommend them!" Sold a Single Family home in 2015 in Blooming Grove, TX. "Julie Teel is an experienced broker with a wide range of knowledge in realty. She was the realtor we chose when buying and selling our first home, and we went back to her for the sale of our second." "JULIE AND JOHN WORKED CONTINUOUSLY FOR SO LONG TO SALE MY LOTS AND THEY HUNG IN THERE TIL JOB WAS DONE. THEY KEPT ME INFORMED ALMOST EVERYDAY TO LET ME KNOW HOW THINGS WERE GOING. IF I HAD ANYMORE HOLDINGS THEY WOULD BE THE ONES I WOULD TURN TO. I WANT TO THANK JULIE AND JOHN FOR A JOB WELL DONE,"
""It took a long time for our house to sell, but Julie and John stuck with us until we sold. They tried everything available to help us sell. We don't think anyone could have done anymore than they did. When we did get a contract, they made the transaction run smoothly and correctly. We give them five stars PLUS!"" "We just wanted to thank you for the awesome update package that you mailed to us! You guys are the best! We truly appreciate everything that youï¿½re doing to market our 4 lots in The Shores! Sold a home in 2016 in Vista Ridge, Fort Worth, TX. "John and Julie did a very nice job in being the bridge between buyer in seller making the process fair, clear and efficient. closings were always completed on time with no issues. Thanks"
"Julie helped us with the sale of our new home. She was friendly, knowledgeable and always helped answer any questions that we had. She helped us through the process. She had a good knowledge of the area and has numerous local contacts that are helpful when buying or selling a house." "Julie was very helpful friendly and knowledgeable,when we we're checking out houses in areas that were out off her area she called in agents from those area to help us out with details and info for the area. When we chose the home , Julie was there 24/7 to get inspectors, contractor. Julie even recommended places for us then out-of-towners to eat. Julie had a family emergency during the time we were purchasing the home, Julie stayed on top of the purchase with the help of her staff, but Julie herself still spoke with us during this time. We will never be able to thank Julie enough." How likely are you to recommend John and Julie Teel? "John and Julie are amazing. Their communication and desire to make each one of their clients feel special is unmatched. They consistently kept moving obstacles standing in our way of selling the house. We couldn't have done it without them!" "Very informed and up to date on listings. Would recommend Julie and john as very reliable realtors. Will go out of their way to keep clients informed. A pleasure to do business with. Even with bumps along the way, their diligence is ongoing. Have recommended them to friends as excellent realtors." "Thank you for your care and attention to detail, the sunset pictures are excellent. We appreciate the extra effort you put out for us! When we see these pictures we hate to sell this slice of heaven. We trust this type of exposure will focus attention on this property. Sold a Single Family home in 2016 for approximately $175K in Streetman, TX. "Julie Teel does an outstanding market analysis that assists in selling a home in a reasonable amount of time for a price the market will support. She keeps her market area manageable which makes her an expert. I personally would highly recommend her to anyone buying or selling a house in the Corsicana-Richland/Chambers area." "John and Julie grew up in the Corsicana area and have a vast knowledge of Corsicana and surrounding towns, as well as the communities on Richland Chambers Lake. That coupled with their desire to help others and strong business accumen make them the best choice for anyone looking to buy or sell a home in Navarro or Freestone county." "John and Julie were true real estate professionals. Good listeners that know the market, good advice, excellent people and communication skills. Would use them again." "Keeps up to date on market and knows what the market is doing and what you should do. Was very knowledgeable on what was available at our lake and how it compared to our home." "Julie assisted me in selling two pieces of land that I no longer required. Julie was extremely responsive in listing the property, kept me fully updated with progress reports, lists of potential buyers that were interested, marketing reports and advice. Julie sold both of my properties for me for which I am extremely grateful. I would highly recommend Julie as a realtor in the Corsicana area as she has an intimate knowledge of the area and the realtor business." "Julie was so great to work with. It was a difficult sale with no fault on her part, but from the other party involved and Julie worked to solve the problems and was so persistent. She was our second agent to use for the sale of our house and she helped us get it ready for sale so that once she got the house, it only took a few months to sell it (it was on the market for a total of 13 months)." "I had a very unique property in a location where the houses moved slowly. I followed Julie's recommendations exactly on everything. And we sold the house in 3 weeks for pretty close to our listing price. I thought it would take a year to sell this house. The marketing, the pictures, the staging, and the confidence that Julie projected really made this a positive experience in every way." "John and Julie we amazing to work with. From day 1 all the way to the day of our closing, John and Julie provided the highest level of service and commitment in selling our lake front home in what is a VERY challenging real estate market when it comes to our type of property. In 2014, we sold a luxury property in Dallas and our broker with Ebby Halliday confirmed, with their corporate office, that the Teel Team was one of the highest rated real estate teams in the Corsicana area. I would recommend the Teel Team when it comes to selling OR buying any time and any where." "Extremely knowledgeable of the area, and made the whole process so easy for us by staying on top of every detail. I highly recommend John and Julie Teel for buying or selling your home. Wonderful people to work with!!!" "We had a very positive experience, they really took the time on multiple visits to show us around and search for preferred properties. Awesome service!" "We purchased a second home on Richland Chambers Reservoir. We live 3 hours away and relied heavily on John Teel in the negotiation to purchase the property and also for contacts after the sale. With his help we found a contractor, yard man and a house keeper all of which have been great referrals. I would strongly recommend John." "After listing our home with one of John & Julie's competitors for well over a year with no success we switched to the Teel ReMax Team and sold our home in 2 months. The experience far exceeded our expectations. The Teel Team's comprehensive marketing strategy provided exposure in markets outside the immediate Lake Area. Julie began showing our home immediately and generated interest via the web and publication that we had never experienced with our previous realtor. John and Julie's level of professionalism is outstanding. These guys know their stuff and they are on top of their game, we could not be more pleased!"